Sunday morning in Singapore and the neighborhood markets are hopping. In Bedok, a sprawling satellite town on the East Coast of Singapore, my mother’s ritual on the weekend is to rise early and head to the large wet market at Block 58. Sure, she’s there for visits with the pork uncle and the fish uncle, to snag lotus roots, tofu and more. At Block 58 New Upper Changi Road, the hawker centre attached to the wet market is typically jammed on weekends. 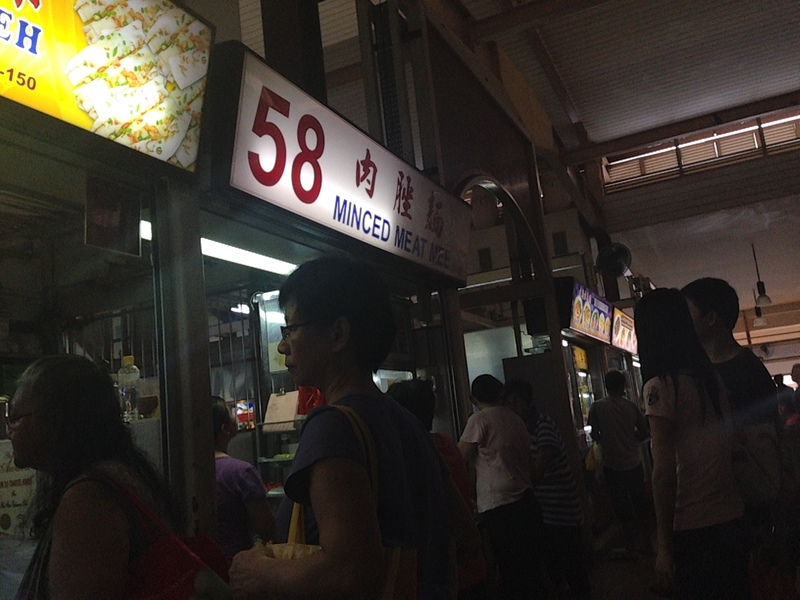 Among the crowds though, one little stall attracts the longest lines — 58 Minced Meat Mee. I’ve always loved eating establishments with very straightforward names. (Taste Good, a Singaporean restaurant in New York, for example, serves up exactly what it advertises.) So there’s allure right there in the unassuming 58 Minced Meat Mee. Its food is anything but plain and pedestrian, however. Let’s start with the noodles — always cooked to al dente perfection. Then, there’s the tasty minced pork, which comes in little chunks so tender they sometimes feel they’re falling apart on your tongue. Add minced scallions, earthy deep-fried shallots, coarsely chopped hunks of garlic and cubes of crispy deep-fried lard which you can either devour right away for extra shots of umami or swirl into your soup so that goodness slowly melts in the broth, and the experience becomes other-worldly. As much as I love the pork and the pork wontons, the noodles and the fixings, what I truly look forward to is that moment at the end when you’re left with the broth, small red chillies you’ve mixed in for added fire, minced pork, scallions, garlic and tiny half-soggy bits of lard and you’re just spooning that into your mouth, fast and unceasing, just because you can’t help yourself. Each component is delicious on its own — all together, they’re unforgettable. So if you find yourself anywhere on Singapore’s East Coast on any morning of the week, you know where to go. Run — don’t walk. 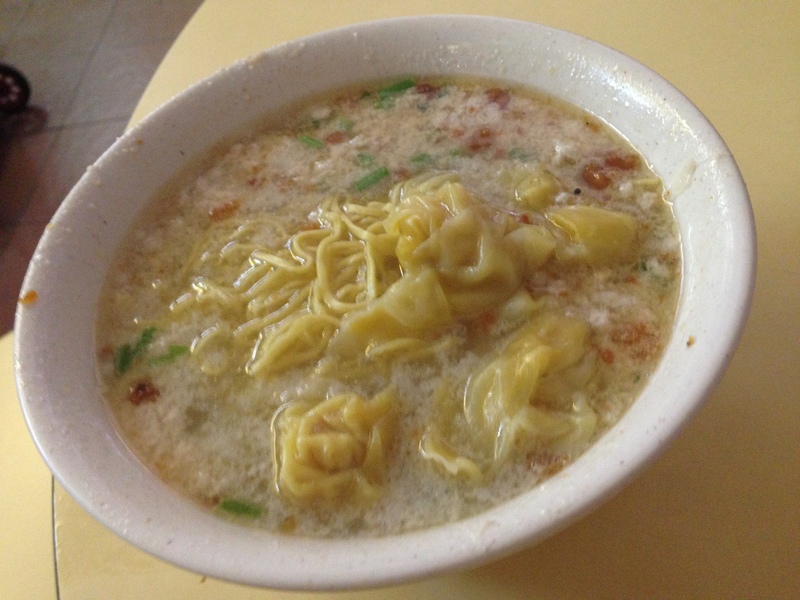 58 Minced Meat Mee, Blk 58, New Upper Changi Road, #01-151, Singapore 461058.